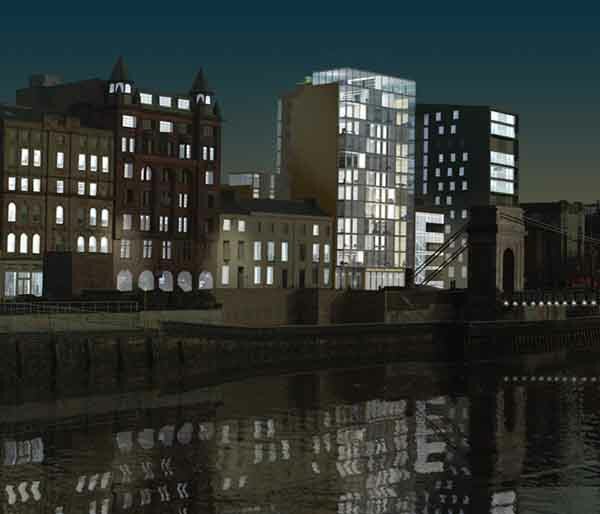 Following on from icon, gm+ad architects on the Clyde. ‘We’ve taken our cue from the Icon Building’ says architect Alan Dunlop ‘our building will have a simple but rigorous geometry and pared modern detailing’. 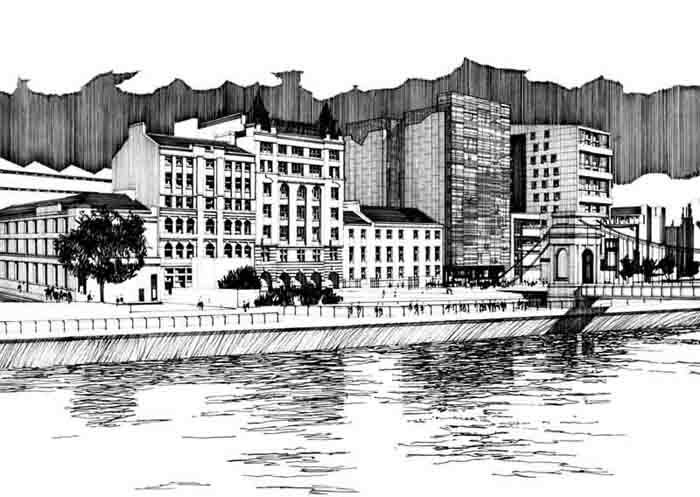 What will set it apart from all other developments on the river though, will be the ‘winter gardens’ to the front. Facing onto the Clyde they will be in constructed in structural glass, each piece carefully positioned to give shelter but still a feeling of an outside space. ‘The glass to the winter gardens will also be patterned and fritted, like an art work’ adds Dunlop ‘and the side elevations will be finished in an innovative steel paneling system, like Hans Scharoun’s Berlin Philharmonie Concert Hall and will have a golden lustre’. Building will begin on the project in Spring of 2005 and be completed two years later in 2007. 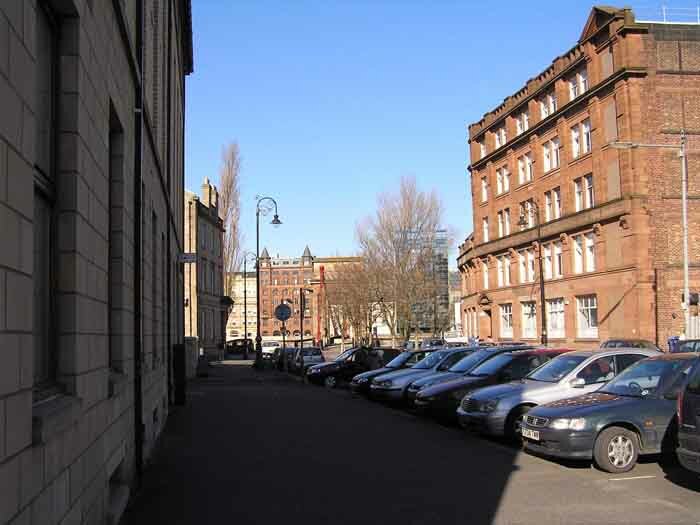 On 28 Sep 2004 gm+ad architects submitted proposals for a new 13 storey residential tower on Clyde Street to Glasgow City Council. 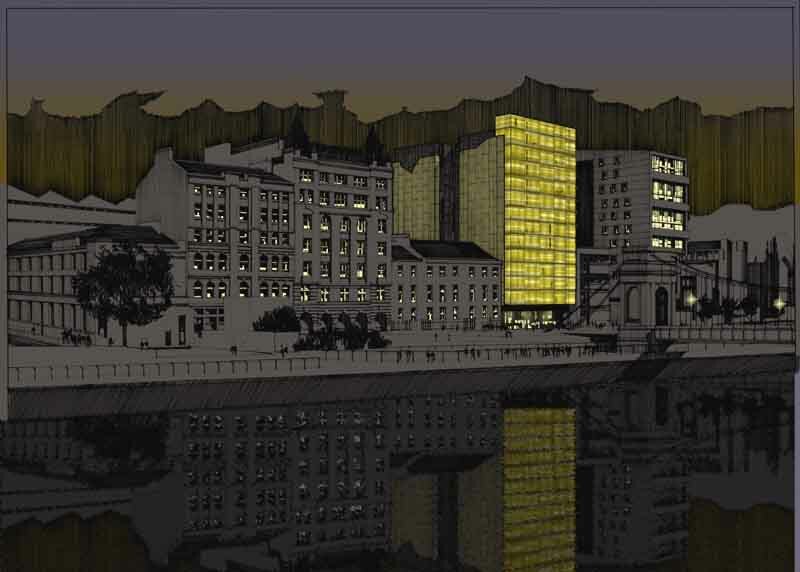 gm+ad architects have taken their cue from the Icon Building by Elder & Cannon Architects, in gm+ad’s view the most architecturally significant building so far on the Clyde waterfront. 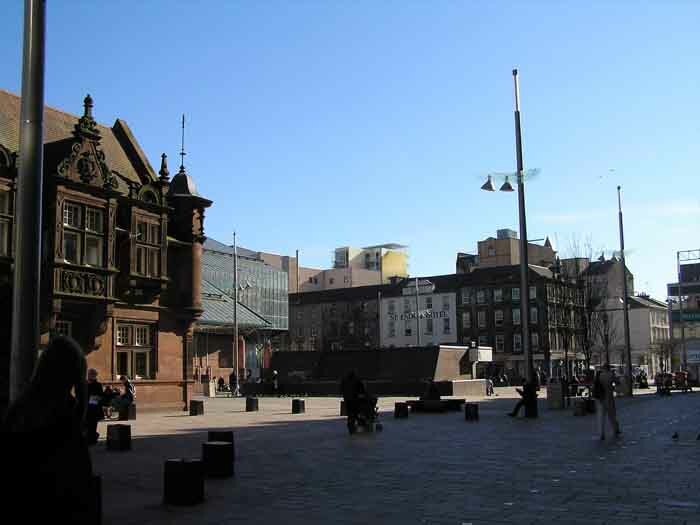 The page and park architects’ proposal (unveiled w/e Sep 26 2004) is in the centre of the drawing above. 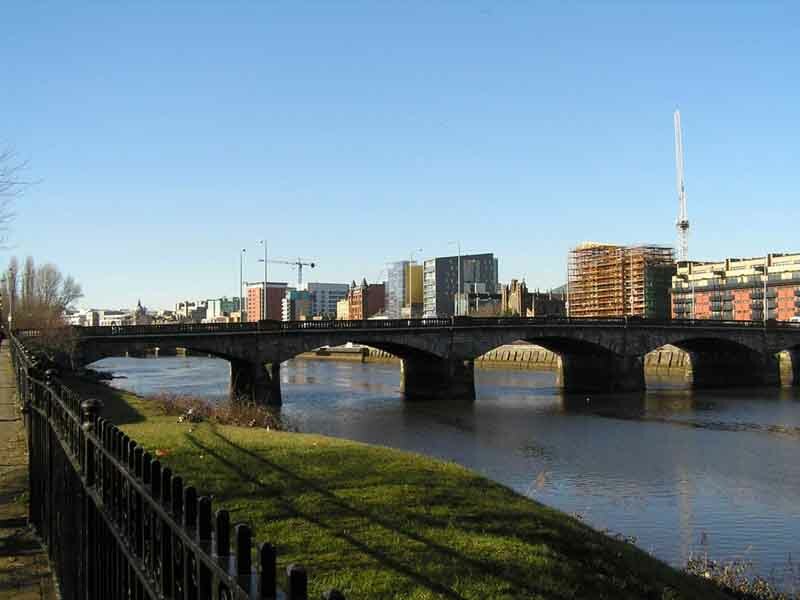 For next week the whole 1 mile Broomielaw and Clyde Street elevation will be complete and online. It has a strong regular geometry, pared detailing and winter gardens to the front, looking onto the Clyde to give shelter but still a feeling of an outside space. The glass to the winter gardens is patterned and fritted, so it’s like an art work. It’s for the Unicorn Group owners of the Fazzi franchise and occupies their premises / buildings on Clyde Street.